Today's blog is about encouraging your dog to love swimming. it's wonderful exercise and a great way for dogs to cool off on a hot day. This is a topic I have researched in some depth because I am the very proud owner of Rose, a Newfoundland. 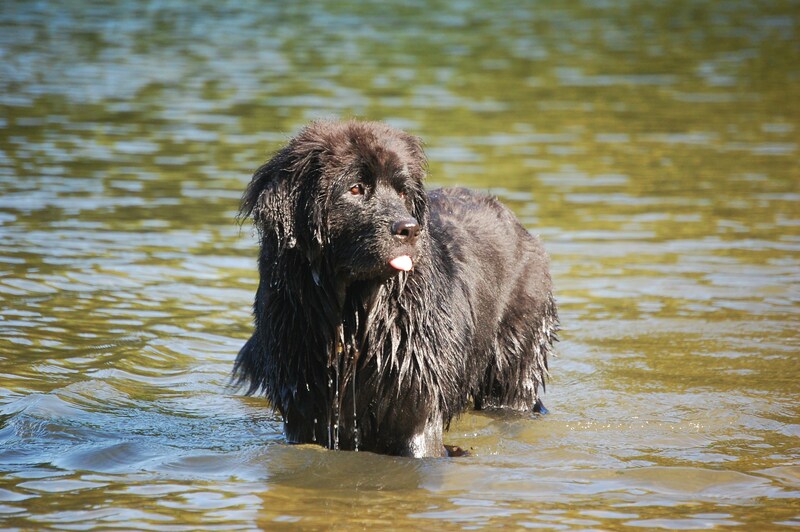 Newfoundlands are renowned for being strong swimmers, but although Rosie loves being in the water, she has never swum. One of the best sources of information I have found is from Talented Animals, who train dogs for the entertainment industry. Do bear in mind some breeds cannot swim very well for long, so do your homework to find out if your dog is a natural swimmer before trying this. 2. GET READY TO GET WET Be prepared to get into the water yourself. If you’re going to get your dog to venture into deeper waters, you will need to be there ahead of them to encourage them with praise and treats. 3. 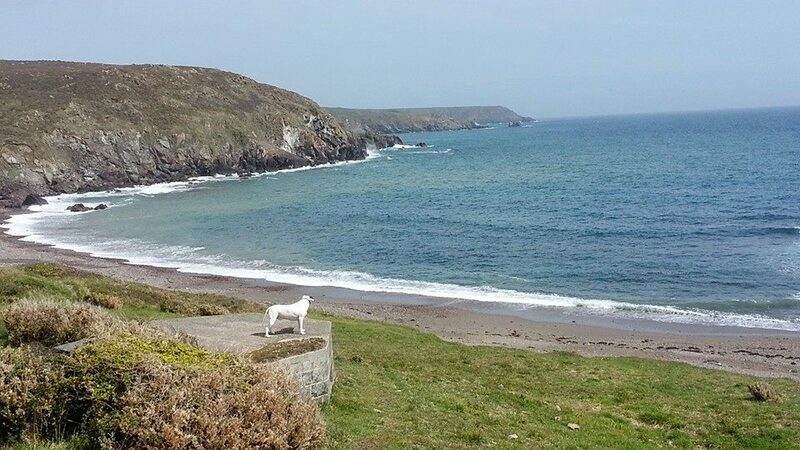 FIND THE RIGHT SPOT Cornwall is a great place to teach your dog to swim as there are lots of beaches with flat, sandy shores and calm, sheltered waters which will mean that you can easily get into and out of the water safely. it also helps if there are other dogs swimming, so your canine companion can see other dogs enjoying themselves and feeling calm and happy in the water. Do let us know if you have any suggestions for places to try, but dog friendly beaches we can suggest are Gillan Creek from St Anthony when the tide is in (and not rushing in or out! ), Kennack Sands east and Mylor. Sea conditions need to be calm, it helps if the water is fairly warm (in Cornwall this is from August to October) and don’t try to go in if you have to clamber over rocks, or seaweed or anything that makes getting in or out of the water tricky. 4. DON’T FORCE IT Don’t drag, push or force your dog. 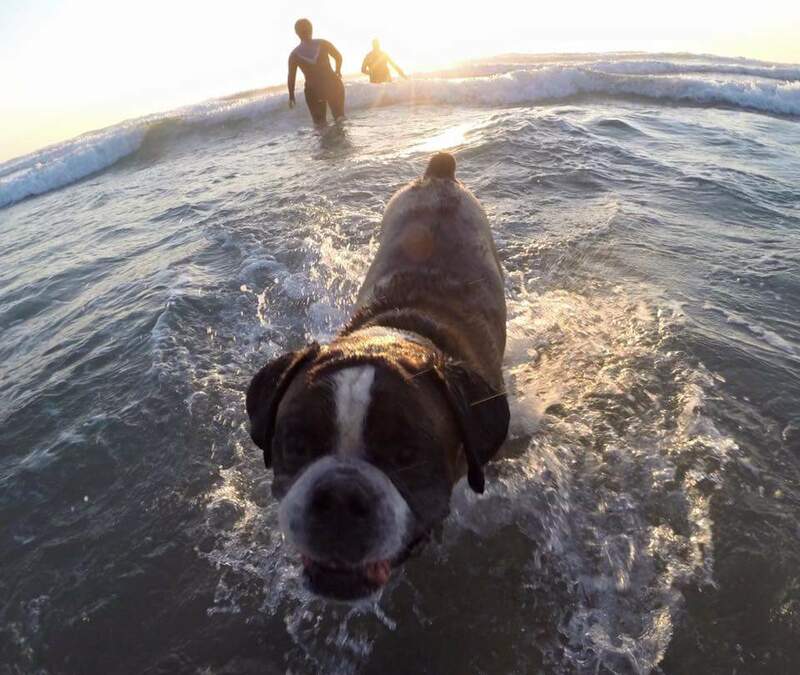 The principle is much the same as it is with humans, you need to encourage your dog to feel comfortable in the water, and to gently encourage them to overcome any fears. Panicking and fear will only cause setbacks and perhaps put your dog off swimming for good. 5. BRIBERY OFTEN WORKS Wade out into the water and encourage your dog with floating kibble or toys. If necessary, swim out a bit and then back, to show your dog it’s safe and fun. 6. BE PATIENT Be patient, keep trying. Ultimately, the idea is for your dog to have fun and exercise, which is wonderful, but if they really don’t enjoy it or they are just natural ‘waders’ they may never learn. There are lots of other ways for them to keep fit and play. Things I have tried with Rosie that haven’t worked… (and it really doesn’t matter if she never swims, but I think she will like it). If anyone has any more advice or ideas, please do comment or message us.